Delight! In things of God do you find delight? 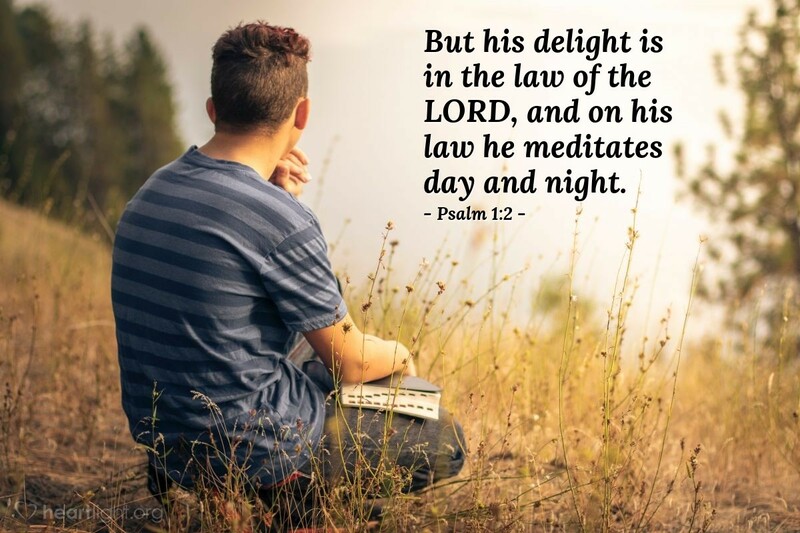 What holy things of the Father in heaven hold your thoughts throughout the day? Why not join me in trying to put more of God's word in your head through memorization and into your heart through prayerful Bible study?! Father in heaven, holy and righteous in all of your ways, I confess that I do not always make the most of my thought time. I often allow my mind to drift away into areas I shouldn't explore. I will occasionally get too focused on things that are inconsequential. I want my mind and my heart more in tune with you, your Word, your will, and your way. Give me true wisdom, enlightened by your Spirit, to see, know, absorb, and contemplate the things that are closest to your heart. In Jesus' name. Amen.